Vivian Popov is a fashion enthusiast making her dreams a reality. It started when she was only six years old, putting on fashion shows for her grandmother. She fell in love with Burberry and knew fashion was something she wanted to pursue, with dreams of becoming a fashion entrepreneur. 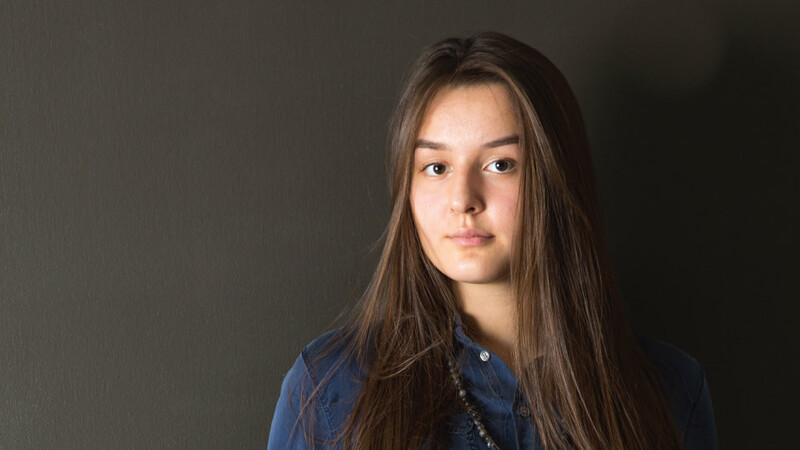 Popov, a sophomore, started her first business selling denim skirts and jewelry when she was a freshman. Though that may seem daunting, Popov demonstrates the “just do it” attitude necessary for entrepreneurial success. Popov was a freshman at the time, and asking a senior takes a lot of nerve. She isn’t afraid, and that’s how she gets things done. She started selling jewelry in February and jean skirts in March. If you check out her Instagram, @vivan.ivonne, you will see many models rocking her stylish products. First, the jean skirts: “I watched a YouTube video and didn’t love the way they did it, so I made it my own way,” she explains. But it wasn’t as easy as it seemed; you do have to know how to sew to be able to produce well-crafted skirts. Vivian’s idea was very creative and well thought out, however. In terms of process, she cuts from the knee on a pair of jeans, goes around the seam on the side, overlaps the front and the backside of the jeans, and finally sews it together. The first time she tried it, it took four hours. But over the summer she perfected her skills and now she can make a jean skirt in only 10 minutes. But how could the jean skirts only be $35? She goes to a thrift shop in Gurnee and buys denim at a low price, enabling her to make a profit. 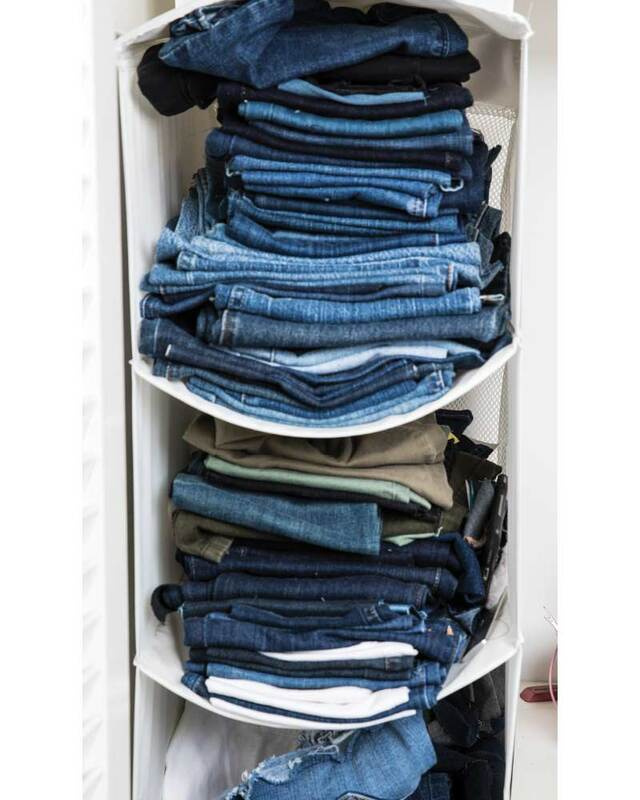 There are multiple jean skirts to choose from: the Olana denim, Aloha denim, light wash denim, white denim, patchwork denim and most importantly, Vivian’s favorite, the Venetta denim, named after her grandmother. “It’s an edgy skirt, you can dress it up or down and it looks good on everyone,” she says. After creating each skirt, Vivian doesn’t waste the material, she uses the excess pieces and sews them together to create the stylish patchwork jean skirt. Vivian also sells handmade jewelry: A black stringed pearl strand necklace, a variety of chokers, and a tassel necklace. Her jewelry looks chic and stylish and the prices range from only $8 to $20, a true steal for high school students. Vivian goes to Chelsea’s Beads or Michaels for the materials and it usually takes her under an hour to make the jewelry depending on which piece it is. Most of you are probably wondering how she has the time for all of this but Vivian knows how to budget her time well. “I always put homework first. During the summer, I produced a lot of product so that I would be ready to sell it in the fall,” she says. Every week she gets about one to three orders, and since March she has sold about 40 skirts. You can go on her Instagram, @vivian.ivonne, and contact her to order. Make sure to keep your eye out for any new products. She’s been working on a denim dress that she is looking to start selling soon. Ava Caputo is a senior at Lake Forest High School. This story is republished in an edited form with permission from The Forest Scout student newspaper.